If you’re a tech news junkie, you’re definitely familiar with Ryan Lawler’s byline. As a writer for TechCrunch, he covers breaking ecommerce, startup, and gadget news, and helps readers keep ahead of the curve as new gear and gadgets drop. 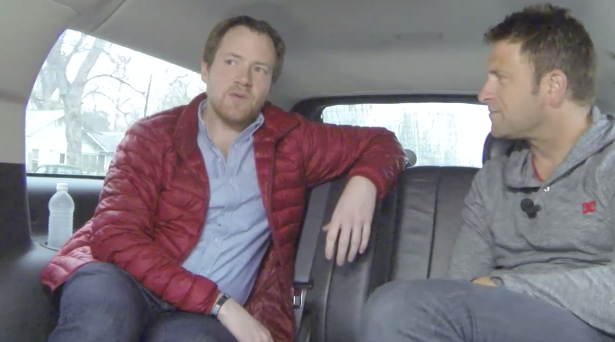 Ryan knows the pulse of Internet culture and tech trends — so when he talked to Chase Jarvis during SXSW about the digital trends he’s been paying attention to, we listened. Anonymity is a precious commodity in today’s online culture, especially with countless web services demanding Facebook, Twitter, and other social networking authorization. Apps with covert names and an eye on privacy — think Whisper and Secret — are right on “anony-mish” bubble, serving the public’s demand for a less-public method of social media. Clearly, disappearing messages are appealing; Snapchat famously bucked a $3 billion acquisition offer from Facebook and has been a smash hit with younger users. However, Snapchat is still vulnerable to workarounds, like taking screenshots, which sort of defeats the app’s security. For sensitive or confidential correspondences, apps like Confide, which uses encrypted messages that cannot be screenshotted and are not stored on Confide’s servers, are bringing ephemeral messaging to a new level. Blogging apps like Medium, which ties to your Twitter account and helps you reach broader audiences as you post in sections called Collection, are turning regular internet users into writers and curators; one of the coolest things about Medium is that it is an interactive draft, where readers can make comments in the margins and respond to other people’s comments. Chase and Ryan are also big fans of Paper, the creativity and content tool by app developers at FiftyThree, which allows makers to create beautiful visual images. So there you have it: anonymous posts, ephemeral messaging, and content creation are some of the trends that app expert Ryan Lawler’s got his eye on. These currents have massive potential to change the way we interact with our technology and communicate our ideas. If you’d like to watch these exciting app updates unfold, then keep an eye out on TechCrunch for breaking news! Loraine Kanervisto has been writing business, technology, and lifestyle features since 2008. She loves exploring how diverse communities interact with technology. Loraine spends her time tinkering with gadgets, exploring Seattle's lit scene, and hanging out with her two black cats.